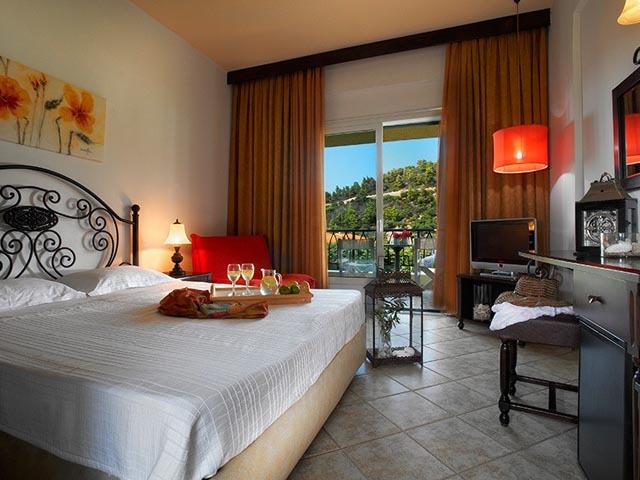 The Athena Pallas Village Resort is the flagship the Group Acrotel and taken from a fantasy. 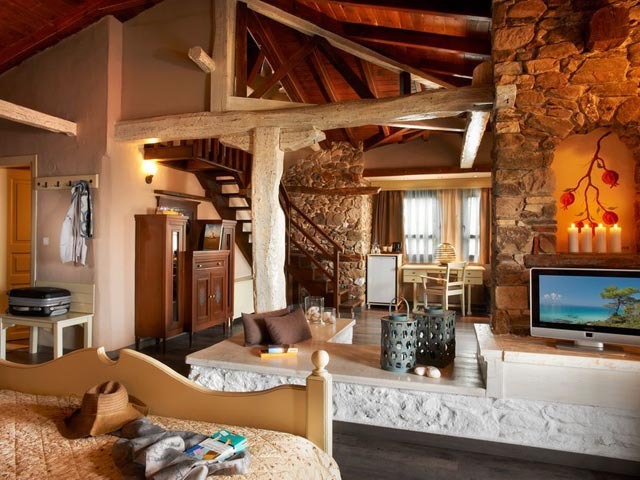 Very close to Thessaloniki and easily accessible from Athens, it comprises a visitor’s initiation experience to the magic of the landscape and a hymn to the modern well-being. 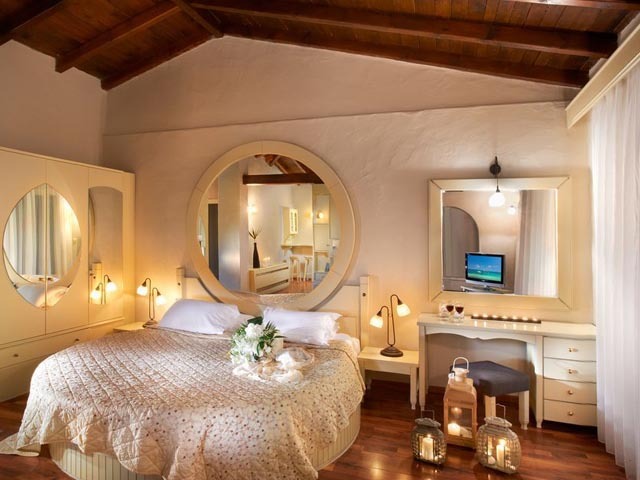 It combines fantastic views of the lush landscape of Sithonia and crystal clear blue waters of Toroneos Gulf, and provides with five-star luxury accommodation, strictly respecting the principles of renowned Greek hospitality. 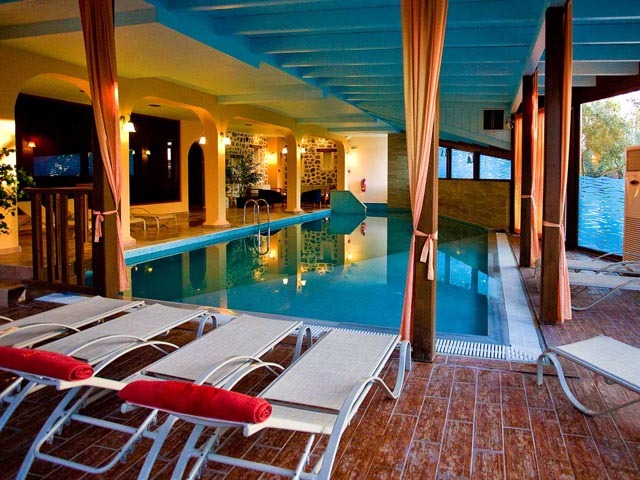 A Spa center offering unique moments of comfort and relaxation, four swimming pools (one of which is indoors and heated), three restaurants and six snack bars, promise unforgettable moments of enjoyment. Athena Pallas Village Resort is also a guaranteed choice for your wedding arrangement by providing exclusive benefits and offers, and for unique and professional events in ultramodern conference rooms with state-of-the-art technology. 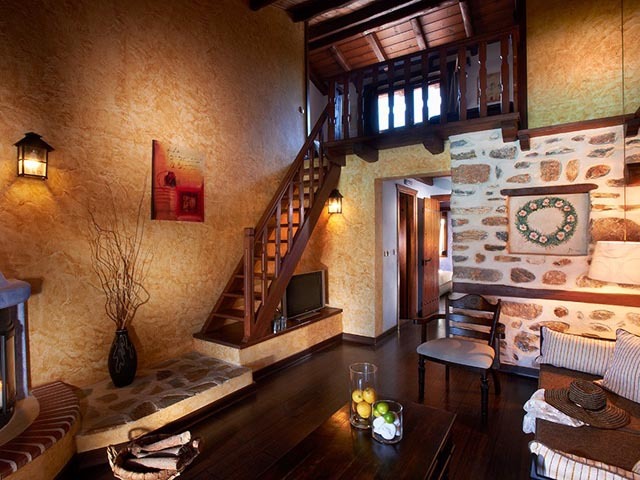 Welcome to Sithonia, the second peninsula of Halkidiki. Having on one side the peninsula of Kassandra and on the other that of Mount Athos, Sithonia is a natural gem waiting for value assessment. It is a place of extraordinary beauty characterized by its lush landscape and beautiful exotic sandy beaches with crystal clear waters. Indented coastline, golden beaches, fantastic colors, landscapes of indescribable beauty and historical monuments eternal glory, are waiting to be discovered. 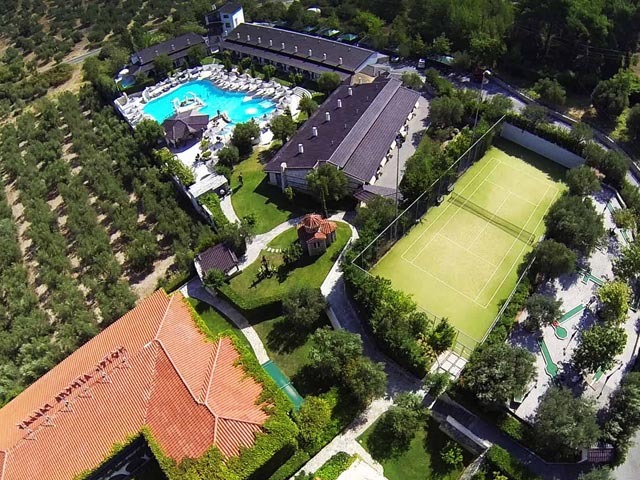 The hotel’s small distance from the villages of Nikiti (9 km) and Neos Marmaras (11 km) offers every guest many choices for recreation; you can arrive easily with the hotel’s bus. The hotel facility possesses 66 standard rooms with two beds, 14 family rooms / suites, 40 Superior rooms, 30 suites, 3 Executive Suites, 2 Grand Suites, and 20 comfortable stone houses. Modern services and facilities are an integral part of modern and high standard accommodation and determine to a large degree a visitors satisfaction. Therefore, we at Athena Pallas Village Resort made sure to possess all the necessary and desired amenities for a comfortable and unique stay. 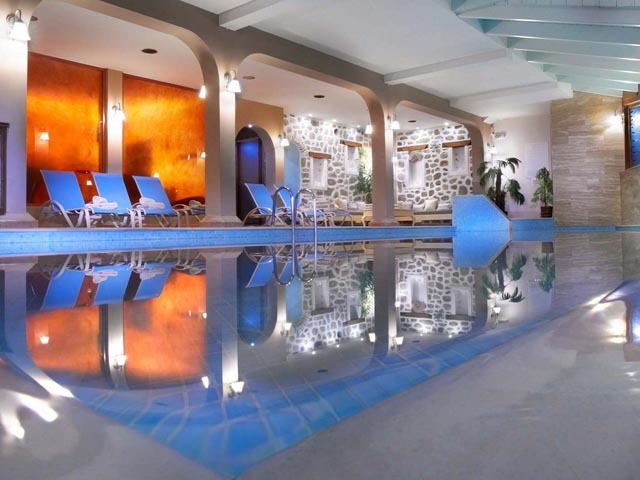 Two fresh water swimming pools with special provisions for the little ones and a swimming pool especially for the guests of the stone build maisonettes, characterize our services. The hotel’s beautiful beach with crystal clear water and an exceptional beach bar offering powerful doses of freshness, present an additional option for delightful moments. 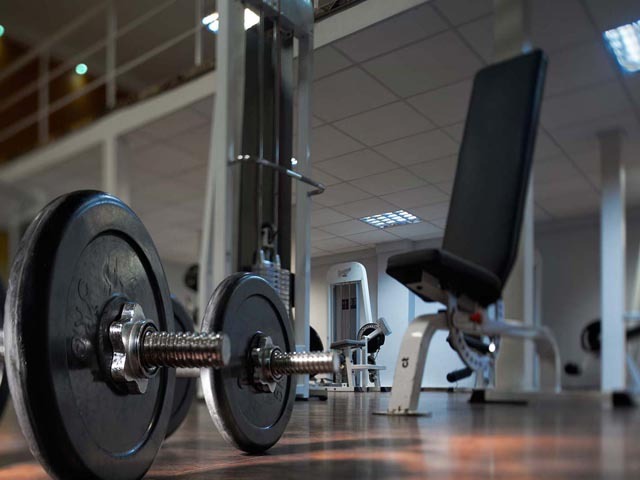 Keep fit during the holiday season, with our fully equipped fitness center that operates from 10 a.m. to 10 p.m., for strength training, aerobic exercise, power-plate and with a variety of modern instruments for alternative forms of fitness, and the tennis courts and mini golf courses. The Folk Art Museum offers interesting information about the culture and artistic creation of the region and beyond. 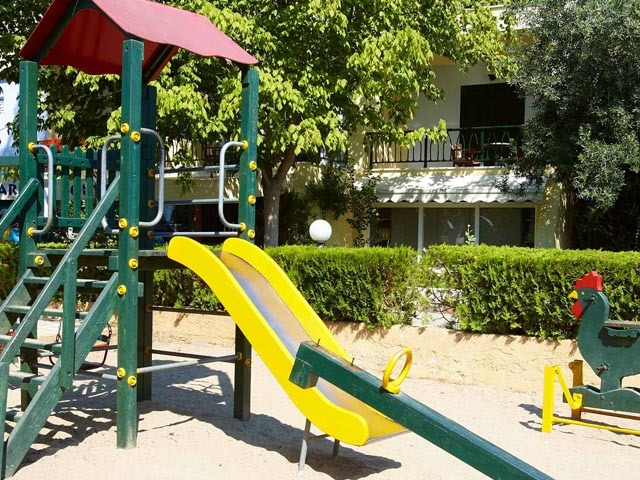 The playground and the children’s club offer activities for keeping young guests creatively occupied, with the presence of specialized personnel. 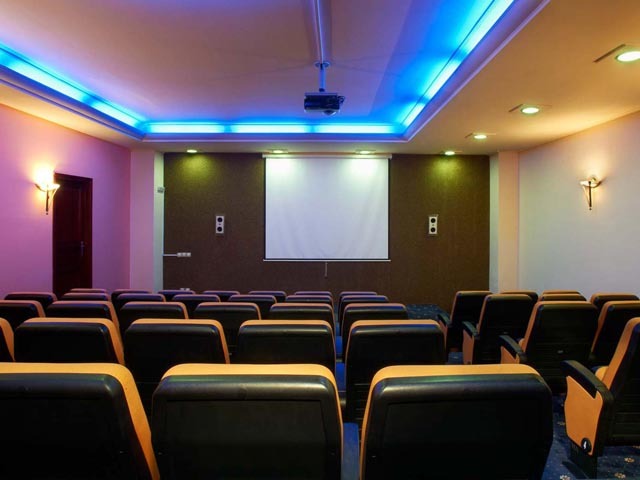 In addition, the game room, with two bowling lanes, foosball and billiards tables, the Internet room, and the movie theater (Cinepolis) will provide children and adults with the spark for enjoyment and pleasure. The hotel unit extends harmoniously over 30,000 square meters with six categories of buildings and one central building with unique architecture. 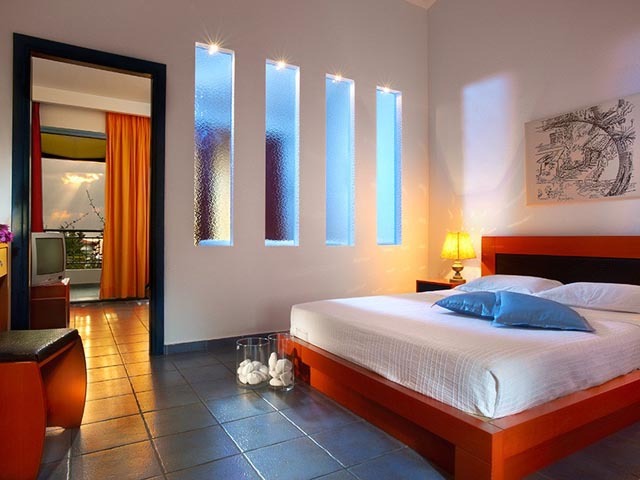 The Athena Pallas Hotel possesses all the necessary elements and infrastructure to provide a high level of service that can cover the desires and the expectations of every visitor for a comfortable and unique stay. 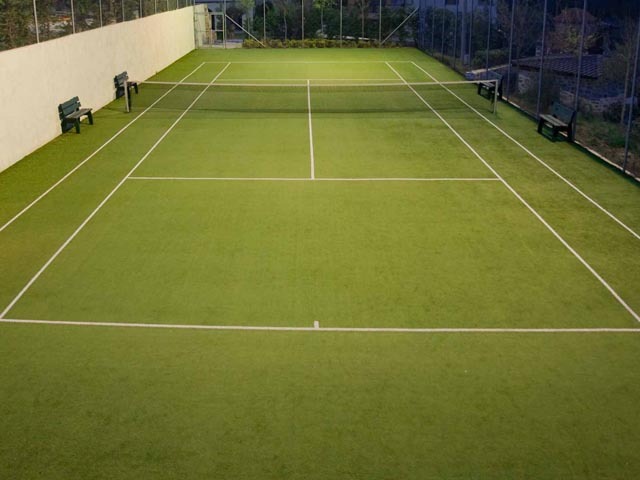 The fully equipped gym of ATHENA PALLAS offers opportunities for exercise and stimulation. Open from 10 a.m. to 10 p.m., and with the latest state-of-the-art instruments, you can exercise in strength training and aerobic fitness. Considering the importance of your fitness during your holidays, Athena Pallas’ 1200sq.m. Spa center provides you with relaxing and well-being services and facilities, such as massage treatments, sauna and Turkish bath. Choose from a selection of additional Spa services, such as manicure, pedicure, facial treatments and many more, and treat yourself to the pampering you deserve! Our primary concern is to offer you, healthy and beneficial dining choices, as well as moments of culinary delight, in the four exceptional restaurants and moments of relaxation in the six snack bars during all the hours of the day. In the restaurant Doxato, the chef creates a buffet with selected Greek dishes for the meal of the day that will impress you. After noon, the a la carte Greek restaurant Lemoni, the first of the Love to Cook brand restaurants, located by the pool, serves a more specialized selection of Greek and Mediterranean cuisine; whereas in the specially designed Agnanti, the culinary delight is combined with private and romantic moments of enjoyment. 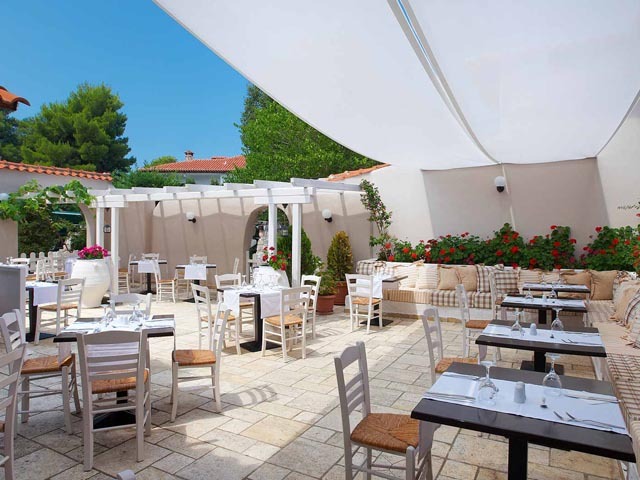 The a la carte restaurant Dionysos – also a member of our Love to Cook family – offers ancient Greek specialties and provocative sweet bites in a very elegant, classical setting that combines culinary delight with aesthetic. Additionally, our new member of the Love to Cook brand Restaurants, Hierion the byzantine dining hall, offers to our guests a private, gourmet journey in the spicy, byzantine cuisine, in an authentic space of the middle ages. 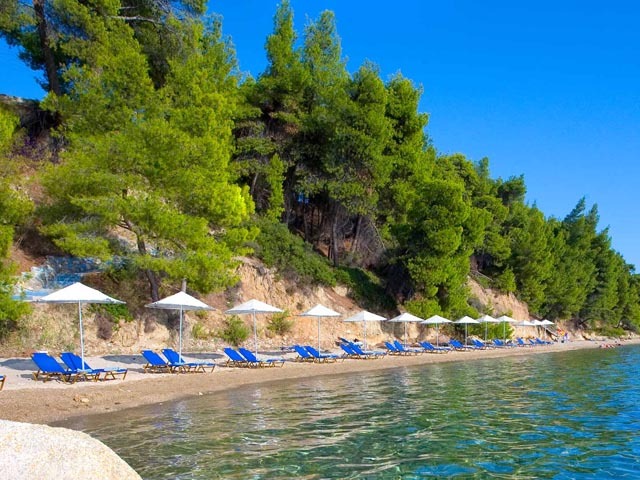 Moreover the six snack & beach bars of Athena Pallas Village Resort tend to your needs at all times. 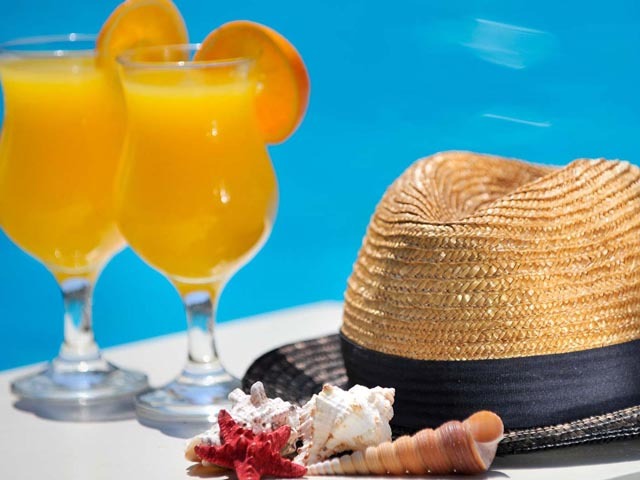 Enjoy fresh squeezed juices, smoothies or impressive cocktails at the poolside snack bar Athena. For coffee and cold sandwiches or desserts from our bakery, choose the pool bar Armonia. 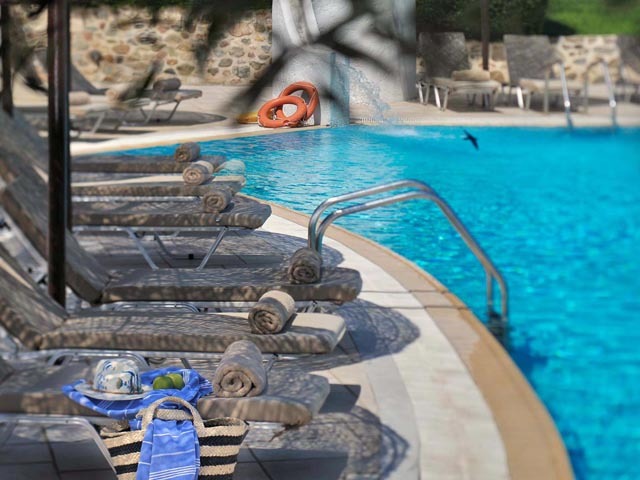 At the poolside snack bar Petrino, surrounded by 20 stone built houses, enjoy the summer with a rich breakfast with Halkidiki’s local delicacies or a beverage during the evening. When the heat of the day calls for a time-out, the seaside beach bar Lemoni (located 400 meters away, in Lily Ann Beach, our affiliated hotel), prepares for you cold refreshments, coffees and sorbets, and offers the best view of the beautiful sunsets at dusk. At night, the advisable option is the roof garden Ethnic, with chill out music and impressive cocktails- finger food under the stars. 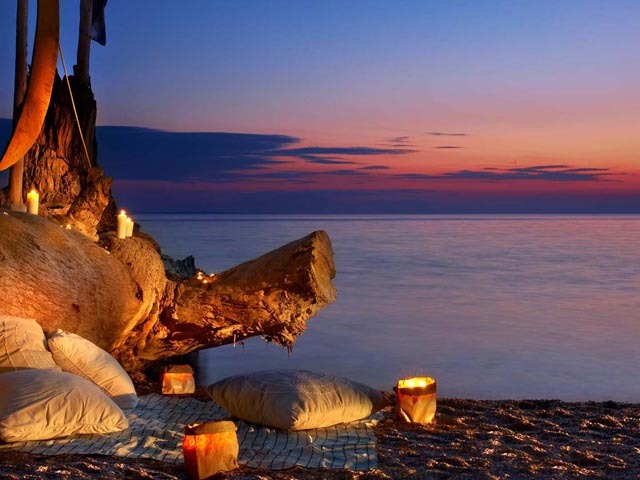 Also, the main bar Athena organizes special themed evenings and very interesting events for your entertainment. User of Baby Cot with extra charge 2 Euro per Day ! !